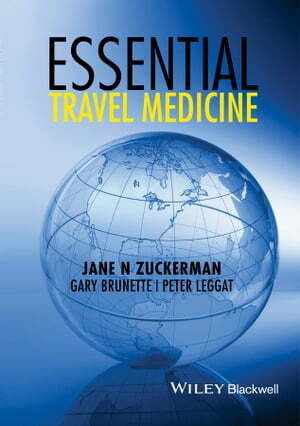 Collins Booksellers - Essential Travel Medicine by Jane N. Zuckerman, Gary Brunette & Peter Leggat, 9781118597385. Buy this book online. This 1st edition of Essential Travel Medicine provides an excellent concise introduction to the specialty of Travel Medicine. This core text will enable health care practitioners particularly those new to the clinical practice of Travel Medicine, to gain a fundamental understanding of the diverse and complex issues which can potentially affect the health of the many millions of people who undertake international travel. Jane N Zuckerman is joined by Gary W Brunette from CDC and Peter A Leggat from Australia as Editors. Leading international specialists in their fields have contributed authoritative chapters reflecting current knowledge to facilitate best clinical practice in the different aspects of travel medicine. The aim of Essential Travel Medicine is to provide a comprehensive guide to Travel Medicine as well as a fundamental knowledge base to support international undergraduate and postgraduate specialty training programmes in the discipline of Travel Medicine. The 1st edition of Essential Travel Medicine offers an indispensable resource of essential information for travel health practitioners, infectious disease specialists, occupational health specialists, public health specialists, family practitioners, pharmacists and other allied health professionals. This core text will appeal similarly to those training in Travel Medicine and to those who want a concise introduction to the subject or an ideal revision companion.